Check-out this newest movie stills and highlights from the Kamen Rider Heisei Generations FINAL movie featuring more Rider action and of course, the meme lord, Dan Kuroto! 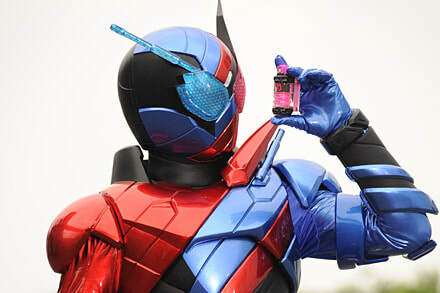 Kamen Rider Build will acquire Kamen Rider EX-AID's element and transfers it into a full bottle and this is the reason why Emu cannot transform in this movie. 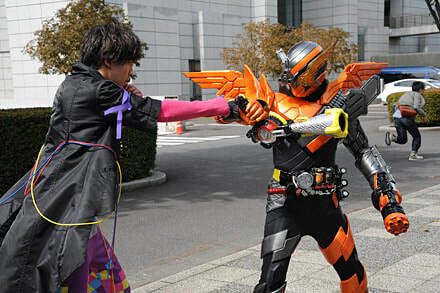 It takes place 1 week after the events that took place in the recent True Ending movie. Sento claims that everything happened in his dream even thought it did happen in reality. 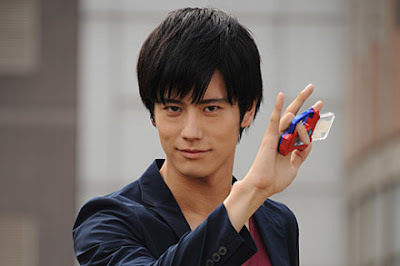 Dan Kuroto a.k.a. 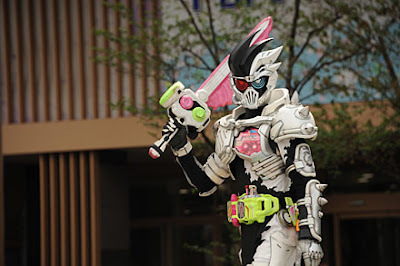 Kamen Rider Genm's return to his evil side from the upcoming Kamen Rider EX-AID: Another Ending trilogy will be hinted in this movie and the Build Gashat that he created in the series will be used in this movie. 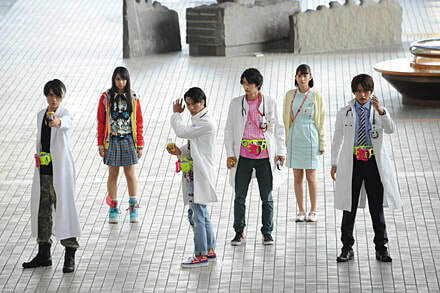 Pallad returns after missing in action from the events that transpired in the Kamen Rider EX-AID movie where he is chasing Kamen Rider Build to take back the EX-AID Full Bottle and give it back to Emu. 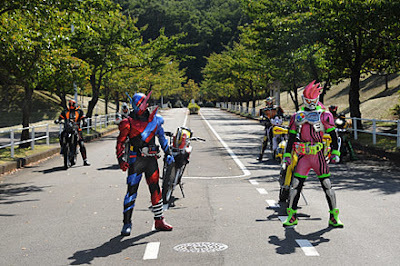 Hiiro, Taiga and Kiriya will also lose their ability to transform into the Gamer Riders due to the Nebula Bugsters but they will regain it in the movie! And of course, these movie is said to be chock-full of bike action which was missing in the past series! 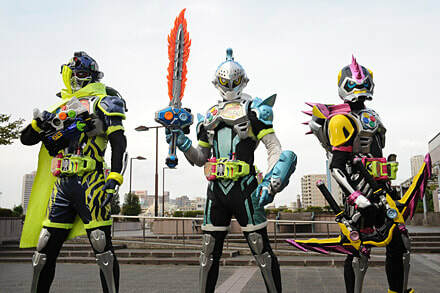 Kamen Rider Heisei Generations FINAL: Build & EX-AID With Legend Riders will premiere in Japanese cinemas this December 9, 2017.